For decades, athletic trainers have been training athletes with blood flow restriction therapy (BFRT or BFR). It helps participants increase muscle strength and mass with minimal loading. Now, physical and occupational therapists are picking it up as well. As blood flow restriction therapy gains popularity, more clinical experts and researchers are exploring how it can be used for rehabilitation. Current research gives specific recommendations for practicing blood flow restriction therapy, including cuff width, material and placement, restriction pressure, exercise parameters, types of contractions. Research also indicates which diagnoses blood flow restriction is showing success in treating. Let’s look at those specifics along with the history, mechanisms, and benefits of blood flow restriction therapy. Blood flow restriction therapy was invented in Japan in 1966. Its original name is KAATSU Training. KA means “additional” and ATSU “pressure.” Decades of extensive research, specific protocols, and patented procedures in sports, exercise, rehabilitation and wellness support KAATSU Training’s effectiveness. In the U.S., the military and professional sports were among the first to adopt the practice. More recently, BFR use in rehabilitation has presented further evidence of its effectiveness. As a result, its safety in application is also increasing. BFR during exercise typically involves the application of pressurized cuffs to the proximal portion of a limb (upper or lower). The cuff impedes venous blood flow from the limb, but not arterial flow into the muscle. The pooling of the blood allows for patients or athletes to reach muscular fatigue with minimal loads. The exact mechanisms that lead to the increase of muscle strength and mass are not entirely clear. Several potential mechanisms point to an increased muscle protein synthesis, via muscle swelling. This mechanism also involves increased muscle activation caused by metabolic accumulation-induced fatigue. Muscle fatigue may result from an increase in intra-muscular inorganic phosphate concentration. Further research is needed in this area. 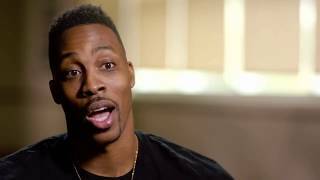 In the 2014-2015 season, Dwight Howard of the Houston Rockets suffered a knee injury that kept him off the court for several games. His athletic trainers recommended blood flow restriction therapy using the BTE Eccentron to heal the injury faster with minimal strain on the muscle. Watch this video for details on Howard’s recovery process using blood flow restriction therapy. Blood flow restriction therapy can build muscle mass and strength with minimal muscle loading. This makes it especially useful for elderly patients, or those recovering from surgery, injury, or immobilization. It can help combat muscular disuse atrophy and associated muscle weakness. We know that conventional strengthening techniques typically require loads up to 70% or more of 1 RM (repetition maximum). BFR uses low-load exercise at 20 % to 30% of 1 RM. Modest BFR to exercising muscles serves as a potent stimulus for increasing muscle strength and mass. Much of the resistance exercise related literature has studied relatively low intensities (20 to 30% of 1 RM, high repetitions per set (15 to 30 reps) and 3 to 5 sets, and 30-second rests between sets. Much of the research had initially focused on single joint exercises to minimize the complexity of the movement pattern but has expanded beyond to total limb movement such as walking. There are several aspects to BFR that need to be considered. They include cuff width and material, placement of the cuff, determination of blood flow restriction pressure, and the exercise parameters of resistance, volume, and rest. Cuff width and material play a large role in determining complete arterial occlusion, or the pressure that completely stops blood flow. You’ll see later why beginning with an accurate measure of this pressure is essential. Measuring blood pressure with a narrow cuff will produce artificially higher values than a wide cuff. Narrower cuffs are also more likely to totally block blood flow, so these are best to avoid. Most current research studies have used a width range of 3 cm to 15 cm. Cuff materials are also important. Most clinics have elastic bands on hand, but these are not appropriate for BFR. Elastic bands don’t evenly distribute pressure, can easily roll on themselves, and don’t have a blood pressure feedback device built in. Instead, it’s better to use a nylon cuff or a regular blood pressure measuring cuff. Nylon cuffs are safer and more effective. With nylon, as opposed to elastic, the arterial occlusion pressure is significantly lower, meaning you don’t have to apply as much pressure to the limb. Speaking of arterial occlusion pressure, limb circumference is another factor that affects it. A larger limb requires greater cuff pressure to occlude than a smaller limb. Once you have a cuff of the right width and material, you must consider its placement on the patient. It should be placed as high as possible on the limb/s being trained. For the upper extremity, the cuff should sit as proximal on the biceps as possible. For the lower extremity, it should sit just below the gluteal fold. If the cuff is too low, you won’t achieve optimal occlusion, thereby compromising the beneficial effects of BFR. The existing literature cites several different techniques for blood flow restriction pressure. The most common seems to be using a percentage of complete arterial occlusion. Several studies looked at varied percentages of 1 RM (70%, 20%, 30%) and varied percentages of complete occlusion. This is why it’s so important to begin with an accurate measure of complete occlusion pressure. This measurement informs how much pressure to use throughout exercise. The existing literature generally uses 0%, 40%, 50% or 60% of complete occlusion pressure. Increasing the exercise load from 20% to 30% of 1 RM produced clear changes in torque and muscle activation. Even low to moderate (40% to 50% estimated arterial occlusion) relative pressures produced the maximum acute response to blood flow restriction exercise. More specifically, 50% estimated arterial occlusion may offer the greatest acute response, with 60% providing no extra benefit. One study pressurized the cuff to the point of interrupting the ausculatory pulse, or venous blood flow from the limb. However, exercise under complete occlusion is often uncomfortable for patients, and usually not as safe as partial occlusion. Pressure should be measured with the patient in the position that the exercise will be performed, be it supine, prone, sitting, or standing. Whichever pressure method you use, it’s important to re-evaluate limb pressure periodically during the training program. This is especially true for patients undergoing blood flow restriction therapy for the first time. Like pressure, exercise parameters vary across the literature. Also like pressure, most studies use varied percentages of 1 RM, generally from 10% to 80%. The most common range is 20% to 65%. Regarding volume of exercise, participants perform multiple sets and repetitions. They usually do four to six sets consisting of 10 to 25 reps, with a 30- to 60-second rest period between sets. Of course, this depends on the percentage of 1 RM weight. A typical program is 20 – 30% of 1 RM; combined with occlusion, a participant will do 20 to 25 reps on first set as possible. Next, two to three additional sets of 15 to 20 reps, with 30-second rest periods between sets. The final set is eight to ten reps. This all assumes the participant uses the same load. Other studies utilized varying resistance across sets which then influences number of reps. The individual and potentially the diagnosis will provide additional guidance in this area. Blood flow restriction therapy is appropriate for a range of exercises – from isolated joint to total extremity. More studies have focused on isolated joints, most often the knee, ankle, and elbow, as opposed to total extremity. In addition to types of exercise, BFR works with different types of muscle contraction. The combination of concentric/eccentric exercise is predominant in the literature, but a few researchers have compared concentric only to eccentric only. One study that looked at eccentric only with and without blood flow restriction found similar results between the two groups. Using BFR reduced training volume, but both groups had increases in muscle cross-sectional mass of the biceps. No significant increase in strength was noted but the program was of four-week duration. In another study comparing concentric only to eccentric only, only the eccentric group experienced significant muscle soreness at one to two days post-exercise. The groups did not show conclusive evidence of strength and mass, possibly due to variance of percent of 1 RM used by the groups. To note, side effects include subcutaneous bruising at location of cuff, numbness, and lightheadedness. Venous thrombosis and exertional rhabdomyolysis can occur, but few cases have been reported in the literature. We know that blood flow restriction therapy is beneficial in increasing muscle strength and mass in numerous populations. But we still need more research on the physiologic mechanisms and protocols. And, diagnosis-specific scientific articles presented are based on low numbers of subjects. Ideally, future research studies would involve higher numbers of participants. Before using blood flow restriction therapy in a clinical practice, start with research. As noted here, several variables affect the safety and effectiveness of blood flow restriction therapy. It is imperative to have the right cuff, pressure, exercise protocol, and experienced therapists for clinical application of blood flow restriction therapy.